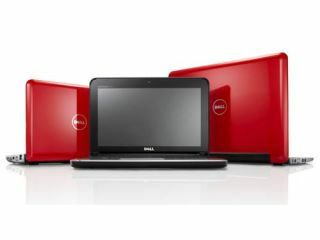 Dell has unveiled the latest product in its link-up with development co-branding charity (RED): a trio of Inspiron Mini netbooks. The Mini 10" is actually available in three screen sizes (9-, 10- and 12-inch), weighing from 1.3kg. Naturally, the themed computers will be clad in the striking (RED) livery. Tech features include a 92 per cent of full-size keyboard, a multi-touch touchpad with gesture control of scrolling and zooming, and a WSVGA widescreen display. There's also one HDMI port, Wi-Fi (up to draft-n if you pay more), a webcam and Bluetooth. Hard drives are available at 120GB or 160GB capacities, and the starting configuration of 1GB RAM should be just enough to run XP Home. Previous (RED) products have included phones from Motorola, nanos and Shuffles from Apple, and several PCs from Dell. The Minis start from £200 and Dell would only confirm that it is giving "a percentage of profits" from their sales to the Global Fund that aims to eliminate AIDS in Africa. Bizarrely, the press release also mentioned upgrades to the Inspiron Mini 10" coming "later this year": an internal TV tuner, more HD options, mobile broadband, GPS, more RAM, increased storage and the option of Ubuntu 8.04 OS. But you're far more interested in helping charity than holding out for a sweet spec, right? Right?